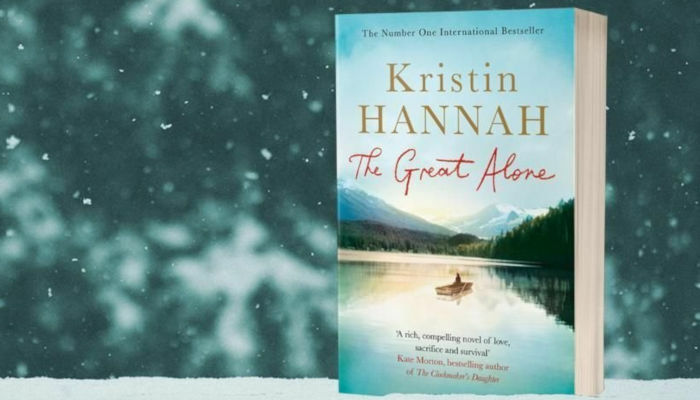 Voted Goodreads Best Historical Fiction, Kristin Hannah’s The Great Alone is out now in paperback! 13-year-old Leni, a girl coming of age in a tumultuous time, is caught in the riptide of her parents’ passionate, stormy relationship, dares to hope that Alaska will lead to a better future for her family. She is desperate for a place to belong. Her mother, Cor, will do anything and go anywhere for the man she loves, even if means following him into the unknown. At once an epic story of human survival and love, and an intimate portrait of a family tested beyond endurance, The Great Alone offers a glimpse into a vanishing way of life in America. With her trademark combination of elegant prose and deeply drawn characters, Hannah has delivered an enormously powerful story that celebrates the resilience of the human spirit and the remarkable and enduring strength of women.